"You see, Carrie, I am going to become completely self-indulgent. I am going to wallow in old age. No grandchildren. They are too young. Not one of them has reached forty-five. No great-grandchildren either; that would be worse…I want no one about me except those who are nearer to their death than their birth." When Henry Holland, Earl of Slane, dies after a long and storied career serving the British government, everyone—including his rather horrid children—assumes that his eighty-eight-year-old wife, Deborah, will recede quietly into widowhood. So when Lady Slane announces that she will not be moving in with her eldest son—and that instead she aims to rent a little cottage in Hampstead that caught her fancy thirty years earlier—her family is dumbfounded. Lady Slane doesn't care. She has spent her life dutifully doing what was expected of her, and finally she is now free to pass her days how and with whom she pleases. 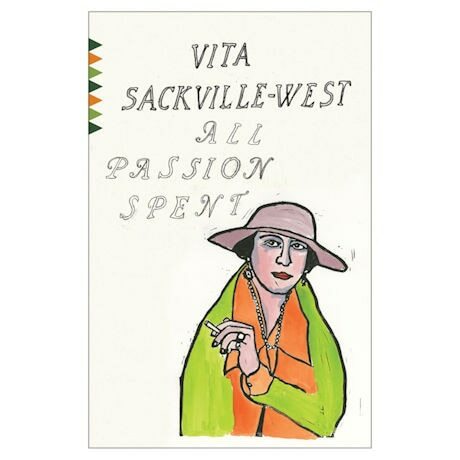 Vita Sackville-West's slender, often humorous novel is relatively scandal- and drama-free; instead, it draws its quiet power from its elegant portrayal of a woman looking back on her life and discovering her true self just in the nick of time.